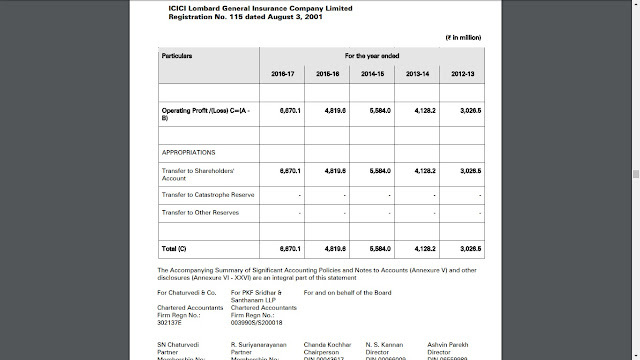 ICICI Lombard General Insurance Company Ltd....... Should you Invest? This week is very special because it’s not just one or two but there are 3 IPOs lined up together. I am sure you all are very much trilled to find out which is a thumps up and which is a thumps down. Don’t worry. Richerinvestor.com brings you updates on all three of them. So in this article we will be talking about ICICI Lombard General Insurance Company Ltd.
For update on Capcait’e Infraprojects Ltd please click here. For update on Matrimony.com Ltd please click here. 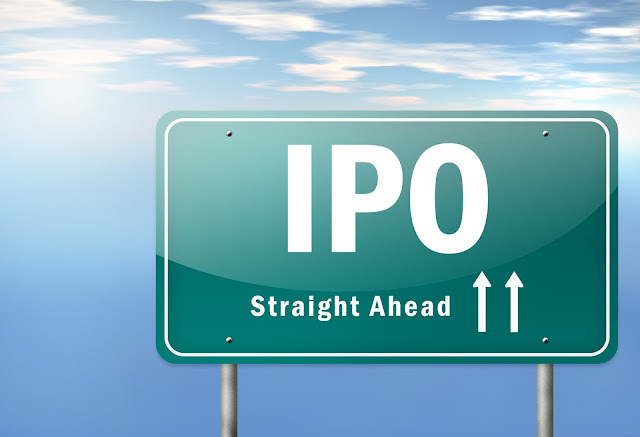 ICICI Lombard General Insurance Company Ltd IPO opens on 15th Sep 2017 and closes on 19th Sep 2017. Now this is a huge issue for Rs 5700 Crs which is purely an offer for sale by its existing shareholders. The price band of this issue is between Rs 651 to 661. The face value of the shares shall be Rs 10 and minimum shares to be applied per lot are 22. Now that’s done. 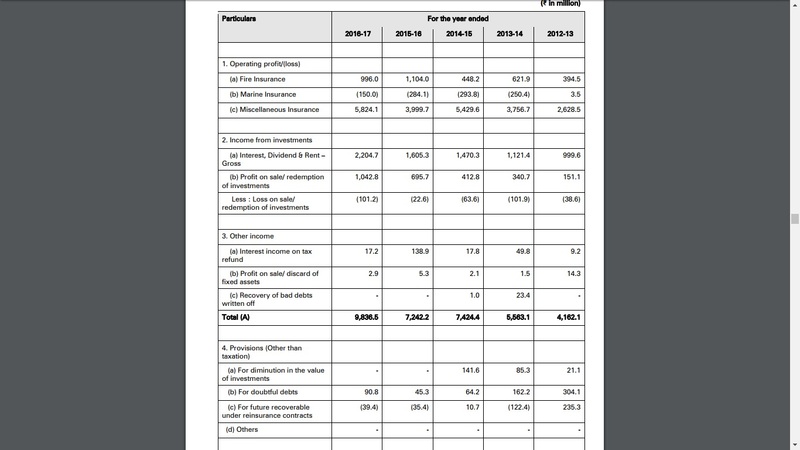 Let’s look at the question Should you invest in ICICI Lombard General Insurance Company Ltd???? 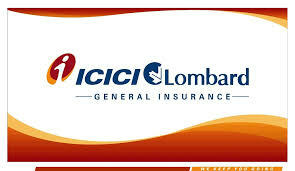 ICICI Lombard General Insurance Company Ltd is the largest private sector general insurance company in India. The company offers its customers a comprehensive and well-diversified range of products, including motor, health, crop/weather, fire, personal accident, marine, engineering and liability insurance, through multiple distribution channels. The company is a joint venture between ICICI Bank Ltd of India and Fairfax Financial Holdings Ltd of Canada. So these two companies are the promoters of this company. The entire issue is an OFS by the existing promoters. So no funds shall come to the company. However its worthy to note that a huge sum of money would go to ICICI Bank Ltd. You can consider buying ICICI Bank Ltd as well. The company may be well known and have a very strong promoter but what’s important is to look at the engine under the hood. 1. The company’s total net worth as on 31.03.2017 was Rs 4403.81 Crores including the fair value changes due to the application of IND AS. The company’s reserves have increased from Rs 1421.64 Crs on 31.03.2013 to Rs 3274.14 on 31.03.2017. It’s more than double in 4 years. Very much more than 25% growth every year. 2. The company has taken a borrowing of Rs 485 Crs in 2016-17 for the first time in past 4 years. Which doesn’t really affect the company’s positions much as its hardly 10% of the networth. 3. Being an insurance company, the applications of funds are majorly into investments as is visible. 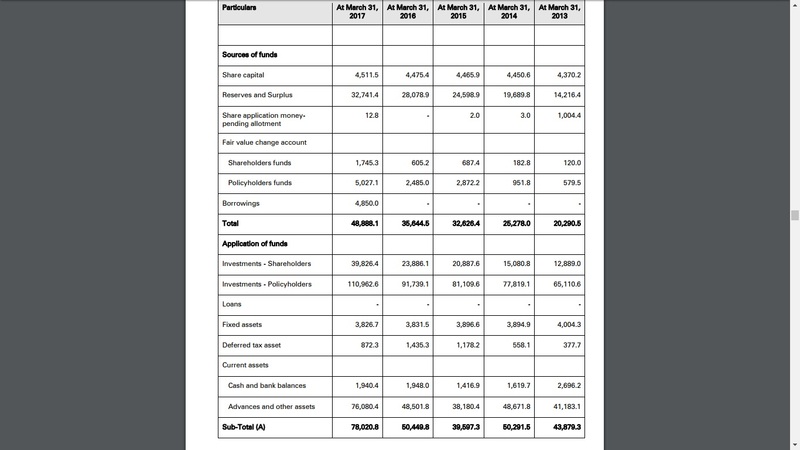 As on 31.03.2017 the total application of funds in investments are Rs 15078.90 Crs. 4. 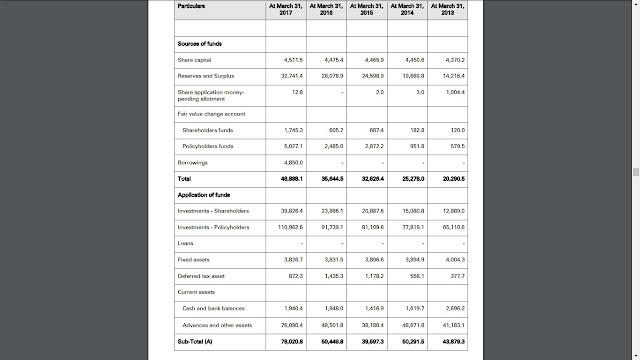 The company’s tangible fixed assets as on 31.03.2017 stand at Rs 382.67 Crs which is very much good. 5. The company had a total Revenue of Rs 7180.49 Crores for the year 2016-17 of which the operating expenses comes to Rs 6513.48 Crs. 6. Total profit for the company for the year 2016-17 stands at Rs 622.10 Crs. 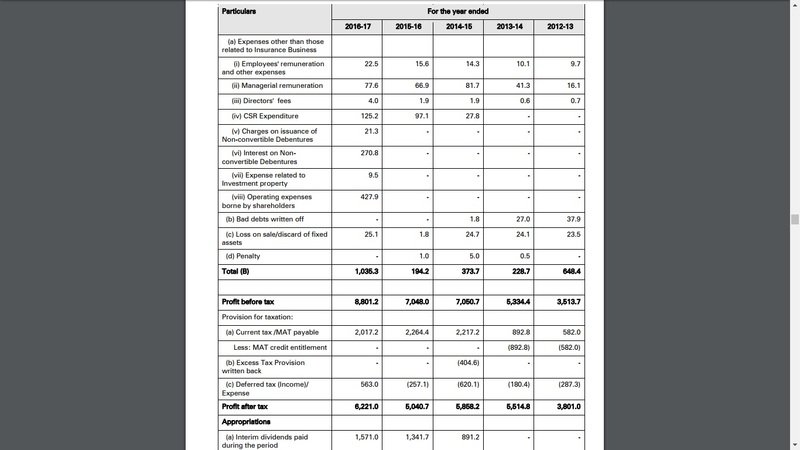 In 2012-13 this figure was at Rs 380.10 Crs. 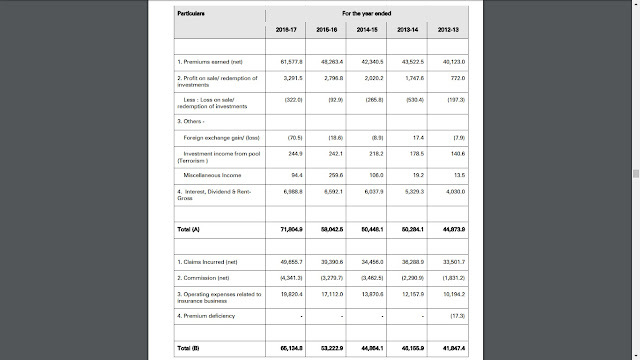 Therefore the profits have also grown drastically in the past 4 years. 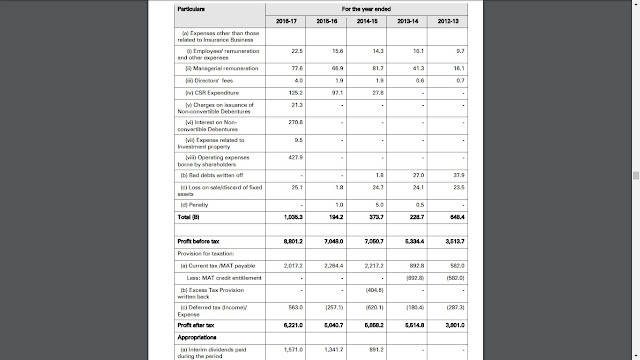 Further the net profit ratio when compared to revenue is around 8.67% which is quite good. No one likes to buy something at a premium unless it’s antique. So let’s check if the valuations are good enough. 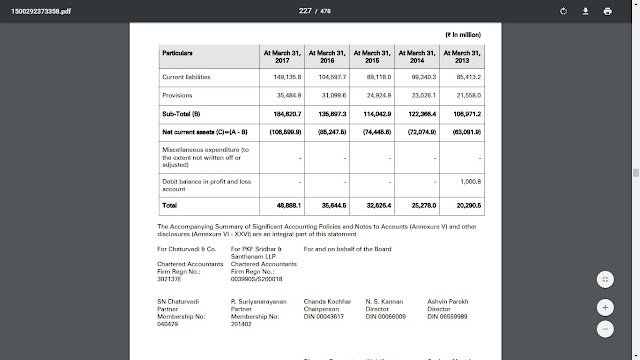 The company’s EPS for the year 2016-17 stands at Rs 13.88 for basic and 13.81 for Diluted. 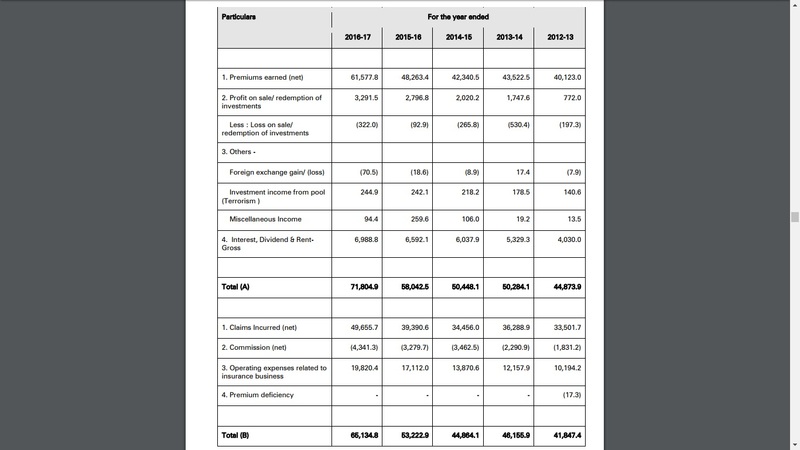 At the price of Rs 661 the PE shall be 47.62 times. Now a very important fact is that there is no other general insurance company listed in the market yet. So this is first of its kind. The same was with ICICI Prudential Life Insurance Company Ltd when it was listed. So even now we have to compare this company with ICICI prudential. 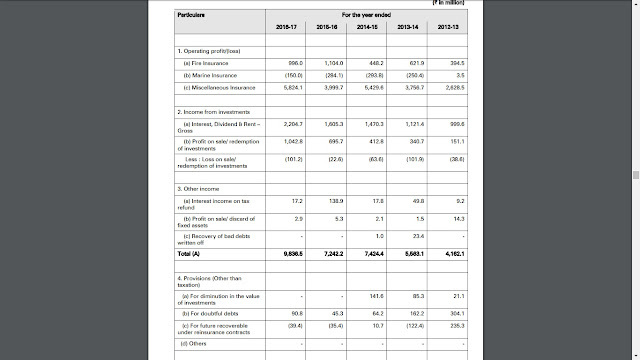 Now comparing ICICI prudential I would say that the issue is a little over priced. Even if you remember with ICICI prudential the issue price was Rs 334 and later on after listing the share came down to Rs 271 before rising back to its current levels above Rs 400. 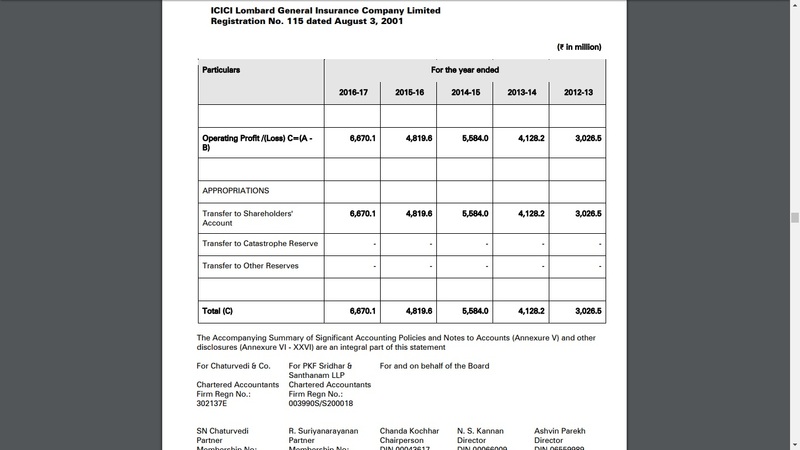 So the verdict on this issue is that, ICICI Lombard General Insurance Company Ltd is surely a company that should make its way into your portfolio. However there is not denying the fact that it is 'overpriced'. But then again in today’s scenario every issue is getting subscribed and the company has a goodwill beyond question. This goodwill is the reason it’s commanding this premium. So if you are willing to take the risk then, you can 'subscribe' to this issue. However, if you don’t interested in taking risk then can wait and buy post listing.